Earn Alaska Airlines mileage plan miles with every purchase! How do I get miles? You get one mile for every dollar you spend on the Alaska Jewelry website. If you buy a $60 ring, you will receive 60 miles. If you buy a $29,000 Eagle sculpture, you will receive 29,000 miles-that’s enough for almost two free Alaska Airlines tickets! What if I don’t live in Alaska? Most of our customers don’t! Alaska Airlines flies to over 80 cities in the United States, Canada, and Mexico. Take a look at all the places Alaska Airlines Flies! Can I only use the miles for Alaska Airlines Flights? Nope. You can redeem the miles earned here for travel benefits on any of Alaska Airlines mileage plan airline partners, or to purchase gift certificates for shopping, music, magazines and more through Points.com! Sounds great, but I don’t have an Alaska Airlines Mileage Account. No problem! 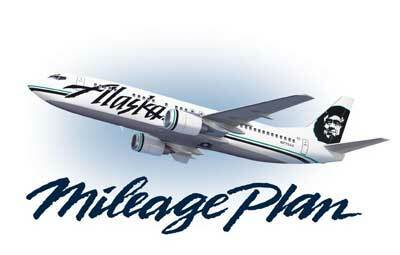 Just go to the Mileage Plan tab on the Alaska Airlines website and click on ‘Join Mileage Plan Now’. It’s simple, it’s free, and if you sign up online you’ll receive 500 bonus miles! OK, I’ve signed up. Now what? Shop! When you’re ready to checkout, you’ll be prompted to enter your 8 digit Mileage Plan number. The miles you earn with your purchases will appear in your Mileage Account in 30 days!